Orlando Catholic Physicians Guild was established in 2005 and is a Chartered Guild of the Catholic Medical Association (CMA). We serve the Catholic medical community of the Orlando Diocese and surrounding areas in Central Florida in Region V of the CMA. To learn more about the Catholic Medical Association and membership please click here. We are a 501(c)(3) nonprofit organization. All donations are tax-deductible. Funds are used for the administrative needs of the guild, for providing conferences and seminars, and for tuition support for students and religious so that they may be able to attend our conferences and seminars. Your generous gift is greatly appreciated! 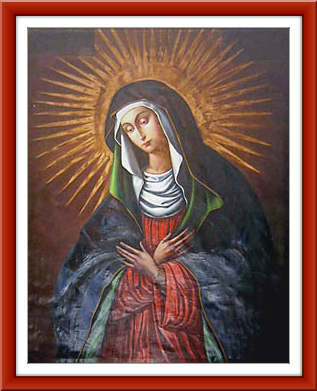 Mary, Mother of Mercy is the patroness of the Orlando Catholic Physicians Guild. An excellent 4-part article written by Dr. Robert Stackpole, STD explaining why she is “Mother of Mercy” can be found at Why Do We Call Mary ‘Mother of Mercy’? Following is the summary of the article. First of all, we said that Mary is Mother of Mercy because, through her Immaculate Conception, God made her the created masterpiece of His Mercy in the world. Second, we can call her Mother of Mercy because she was the one chosen by God to be the Mother of our merciful Savior, Mercy Incarnate; she literally brought Divine Mercy Himself to birth in our world. Third, we can call her Mother of Mercy because she showed us the way to live as disciples of Jesus Christ. Through living her 10 “evangelical virtues,” she set the shining example for us of true Christian discipleship, and this was a great work of mercy she did for us all. Finally, we said that Mary is our Mother of Mercy because, from heaven, she continues to come to our aid with her intercessory prayers, nurturing and caring for all of our needs, both of body and of soul, from now until the hour of our death. Born in Michigan, educated at Univ. of Miami, trained at Duke Univ., sojourned in the Navy at Pensacola, John has lived the past 31 years in Kissimmee, Florida as a Family Practitioner. He counts his wife, three daughters and soon-to-be 12 grandchildren as the greatest treasures of his life. Professionally, he practices full service family medicine (including obstetrics), and takes great satisfaction from being an NFP-Only physician with NaProTechnology training. The Catholic Medical Association has been a great support as he strives to be the physician God desires him to be. Born 1959, Melbourne Florida. Oldest of six children. Attended local Catholic grade and high school. Attended St. Meinrad College Seminary and St. Meinrad School of Theology in Southern Indiana. 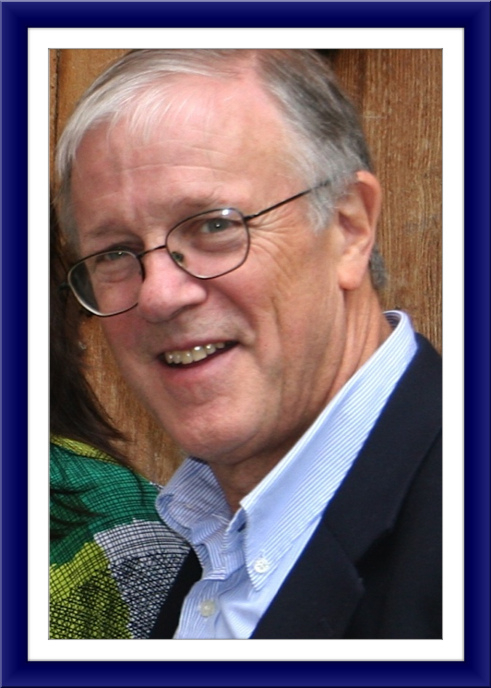 Served in Catholic Schools teaching for six years of priesthood while serving in parish ministry. Served 19 years at All Souls Parish and now 2 years at Corpus Christi. Worked very close to Dr. Steve White. 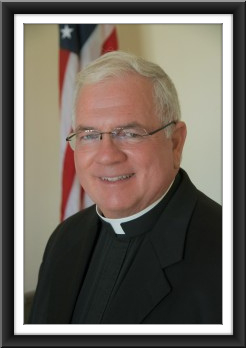 Assisted him in establishing the Catholic Medical guild here in the Diocese nearly 20 years ago. 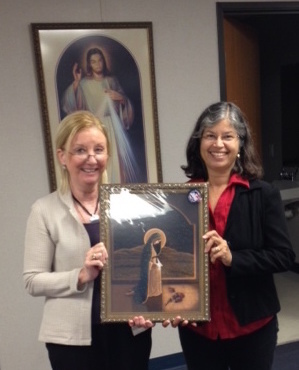 Dr. Helen Kraus and Dr. Margie Sweeney display the pro-life award at their guild meeting at Corpus Christi Catholic Church on Nov. 1, 2014. This award was presented to the Orlando Catholic Physicians Guild at the Banquet for the Respect Life Conference at the Bethany Center in Lutz, FL on Oct. 25. The award was given to the guild for their pro-life efforts over the past several years and was presented by Deborah Shearer of the Diocese of Orlando Office of Advocacy and Justice.